Another baby… | In the Crayon Patch.. Yes, another baby from a lab member is due pretty darn soon. This is a such busy time for me right now- my son gets married in 5 weeks (yeah! 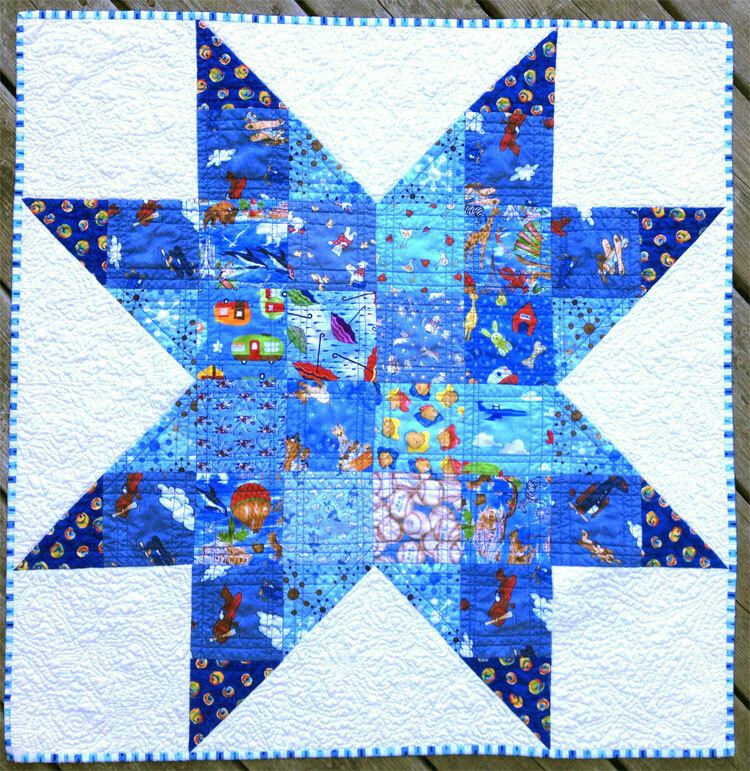 ), our lab moves in July, and I have a major quilt show coming up in August- more about that later! So I took a day off of work to catch up on a few things at home. Laundry, cleaning out cupboards, and starting that baby quilt. Luckily I know it is a baby boy, and I have recently purchased some charm squares for boys. Three hours later, the top is done. And cute! Binding will be blue, and final size is 32″ x 32″.